Movie free listed from 26 July 2018. With Dracula's grandson Dennis now fully a vampire, things couldn't be better at the hotel! 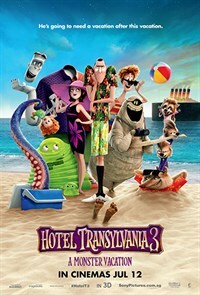 But when an greedy billionaire threatens to destroy the hotel and replace it with his own island resort, it's up to the Drac Pack, Dennis and his family, as well as the rest of the monsters, to make sure he never succeeds.